Today is one of those fantastically beautiful (and cool!) days where everything is right in the world. Probably because midterms are officially OVER!! 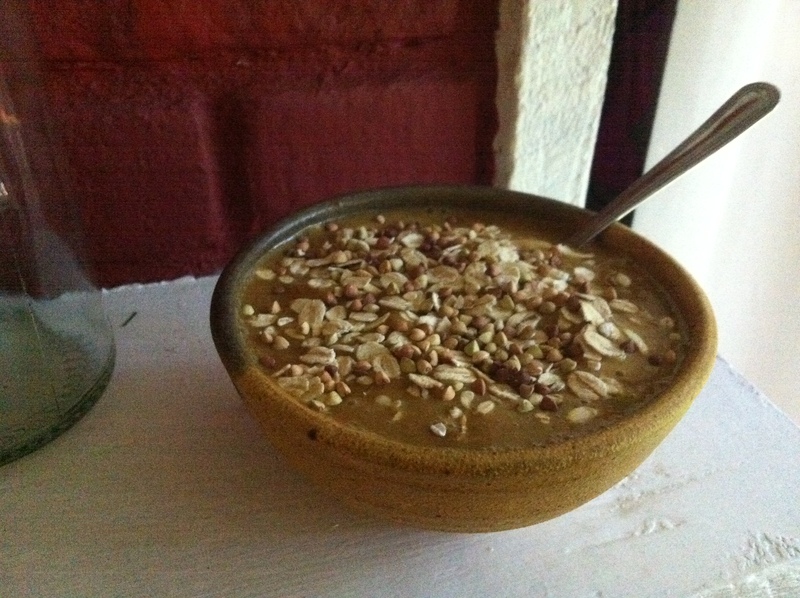 The day began with a delicious Pumpkin Gingerbread Smoothie (in a bowl). 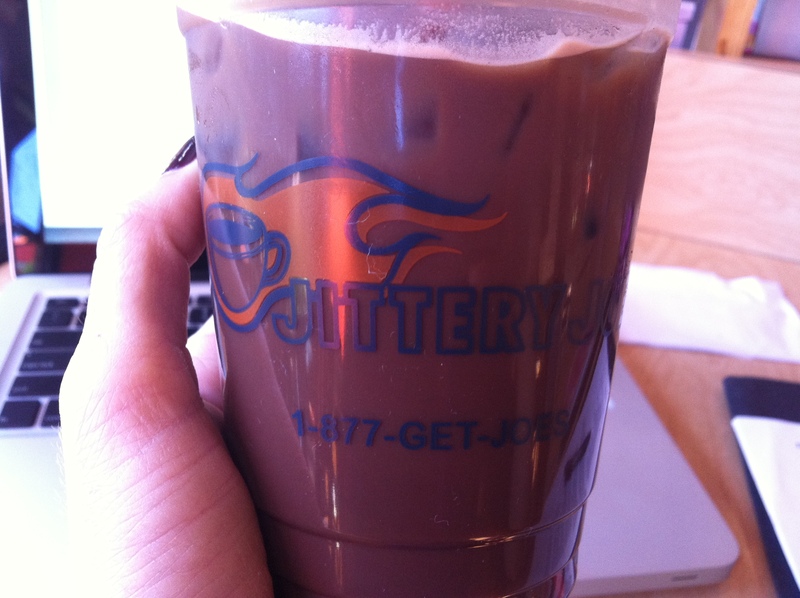 I then headed off to study at Jittery Joes where I traded in my frequent buyers card for my FREE coffee!!! I think midterms alone filled up that card! 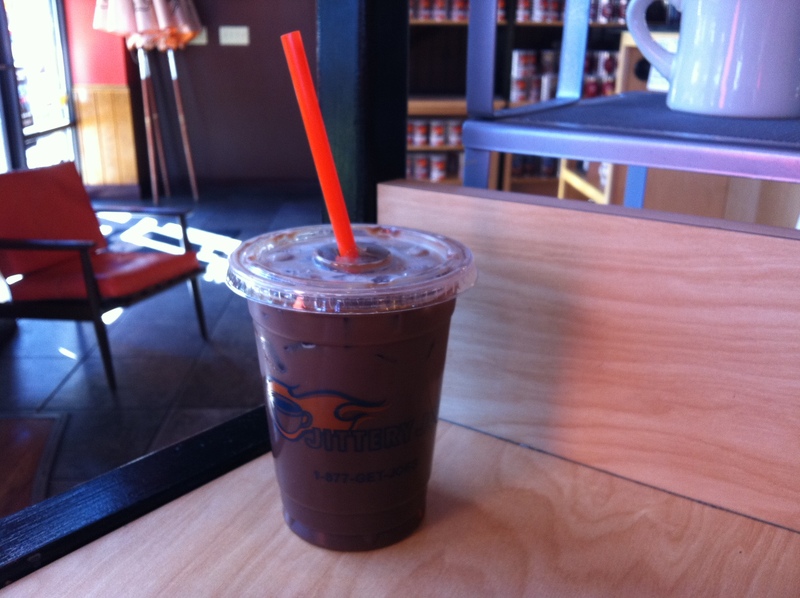 I rarely get specialty coffees but when it is on the house, I say Iced Mocha Please! 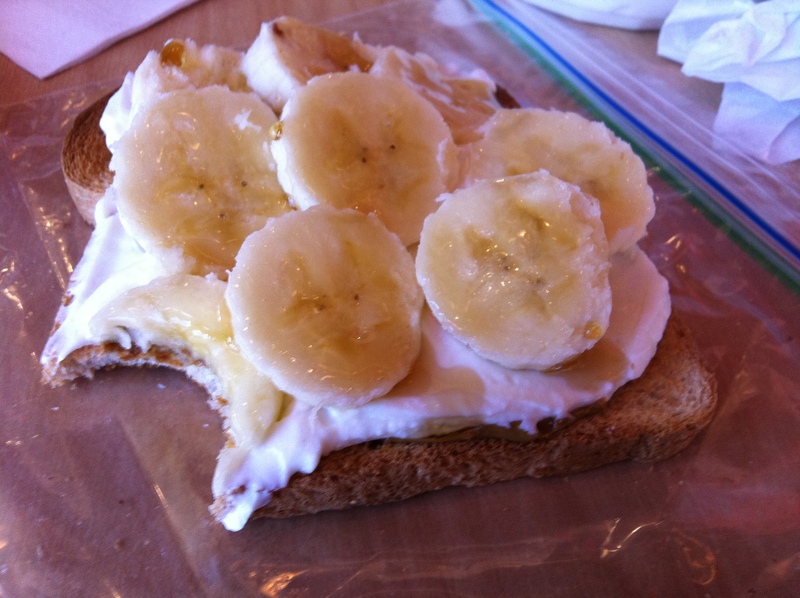 I brought along the making for my favorite snack: TJ sunflower seed butter, greek yogurt, banana and agave on ww toast. 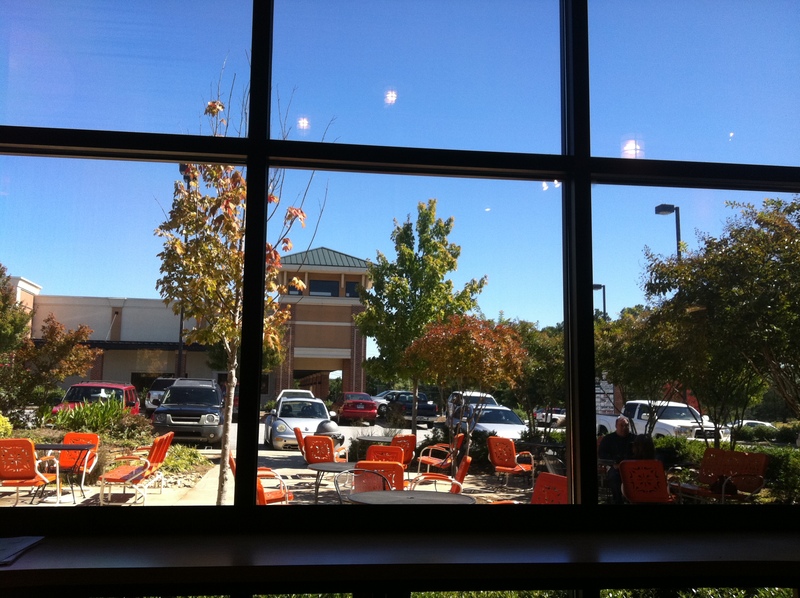 I’ve got a beautiful view and papers to write, back to work! 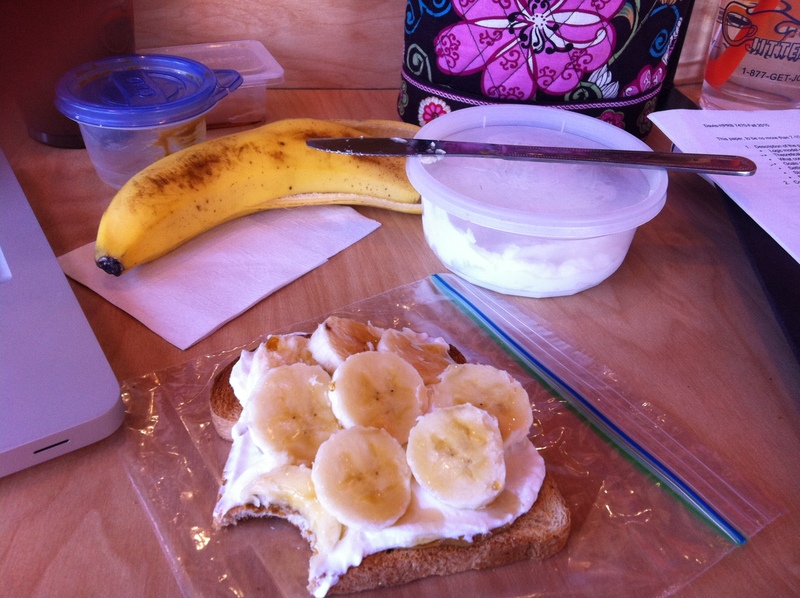 On close inspection, your banana slices look like smiling faces! !